The Dark Knight Rises is the third and final installment in Christopher Nolan's outstanding trilogy of Batman movies. While the scheduled release date for the film isn't until July 2012, there are plenty of facts to discuss. Arguably the most exciting news to be confirmed is two cast members and exactly what characters they'll be playing. Just take a look below. Who is Catwoman you ask? Selina Kyle (Catwoman) is a femme fatale who happens to be a thief and occasional anti-hero. 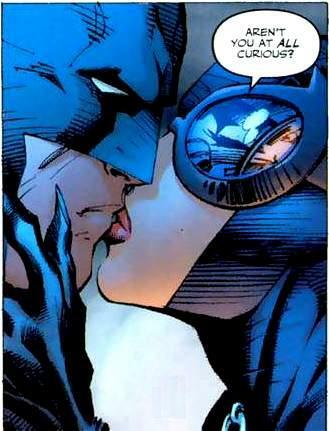 She and Batman typically have flirtatious (and sometimes even romantic) encounters throughout their run-ins and that would lead many to believe this may be the case yet again in the upcoming movie. After the events of The Dark Knight, Batman has had to step into the shadows to avoid capture from the police now that he's taken the credit for Harvey "Two-Face" Dent's murders. Rumor has it that Catwoman steps up to be a vigilante in Batman's stead and this draws him out of his seclusion. Who is Bane you ask? A strategist and intelligent foe (regardless of what some media may have led you to believe in the past) who is one of the few that can stand up to Batman in hand to hand combat. Seeing as he'll be played by Tom Hardy, we can almost be assured this version of Bane will lean more to his strategist nature and could possibly be an expert fighter. I highly doubt we'll see a hulking version of Tom Hardy stomping around and I'm sure Nolan will breathe new life into this character. This is Kylak signing out and stepping into the shadows to wait for over a year. I may need to bring snacks.